Whether you're settling in for the first time or you just want a change, redecorating can be a major project for those in Northridge apartments. People who have a passion for frugal decoration learn by doing it all and making lots of mistakes. They go to garage sales, they refinish the furniture and they mix and match fabrics just for the fun of it. But if you don't have that kind of time or motivation, here are a few tips for getting started on your redecoration. Your space is a resource that you can experiment with, so take full advantage of it. 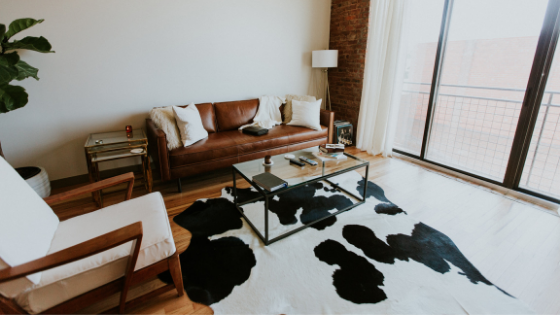 By rearranging furniture, rugs, lamps and end tables, you may start to see the apartment in a completely different way. You may even realize you don't have to spend very much once you see how you can transform a room with only the objects you own. You can also raid the attics or basements of your friends and family and borrow (or beg) for certain pieces that catch your eye. If you're looking for inspiration, it's time to start combing through old magazines to get an idea of what you like. As you start to piece together the colors, fabrics and furniture styles that you like, it should make it easier to form a picture in your mind of how you want your apartment to look. In today's transient culture, there are some real deals to discover if you know where to look. This is especially true when you live close to a huge city like Los Angeles. Those in Northridge apartments should shop garage sales and classified ads with enthusiasm. You should also brush up on negotiation tactics so you're not overpaying. Used furniture may seem distasteful, but consider the fact that it may have only been used for mere months before someone had to move to the other side of the country. Candlewood North provides real value to our residents. From our amenities to our grounds, you'll see the difference from the moment you step on our property. To learn more about our availability, give us a call today to find out more.